Looking for ways to incorporate more vegetables into your kid’s meals? 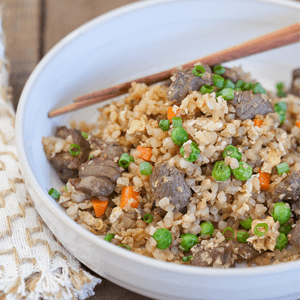 This Beef Cauliflower Fried Rice recipe is a great way to do so! 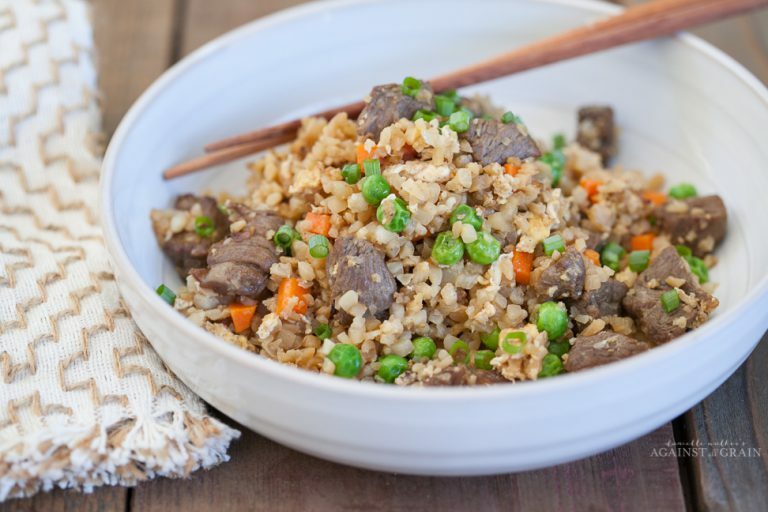 This flavorful stir-fried dinner is simple to make, and your family will love it! You can buy riced cauliflower to cut down on a step and cleanup, but is also easy to make at home. Mix the Sirloin in a bowl with 1 tablespoon coconut aminos and 1 teaspoon sesame oil. Heat half of the avocado oil in a wok over medium-high heat. Add the onion, garlic, and ginger and cook, stirring continuously, for 2 minutes, until fragrant. Add the carrots and cook, stirring continuously 2 minutes more. Add the remaining oil and the riced cauliflower and continue cooking and stirring for 4 minutes longer. Transfer the cauliflower mixture to a plate and return the pan to the burner. Add the Sirloin to the pan and sear it for 30 seconds, then stir continuously until browned, about 2 minutes. Transfer the Sirloin to the plate with the cauliflower. Return the pan to the burner. Pour the eggs into the pan and stir to scramble them until they’re mostly cooked through. Pour the cauliflower mixture and Sirloin back into the pan and add the remaining sesame oil, coconut aminos, and salt. Stir in the peas, then turn off the heat. Top with chopped scallions and serve hot. *Gluten-free tamari sauce may be substituted for coconut aminos, but reduce the salt to ¼ teaspoon.